> Bathroom Remodeling > Remodeling Your Bathroom? Ask These Ultra-Personal Questions! Remodeling Your Bathroom? Ask These Ultra-Personal Questions! 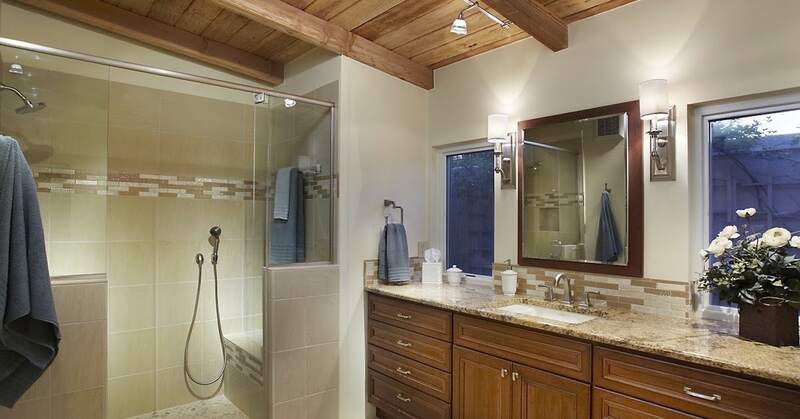 Considering how you use your bathroom is the ticket to making sure your Tucson bathroom remodel is a success. But because the bathroom is one of the most private areas of the home. It can be easy to overlook a few vital considerations – like these six questions. They’re a little on the personal side. We get it. But, taking the time to think about them can help you identify and address your actual needs. 1. Is a soak in the tub something you enjoy? How many people soak in the tub at one time? Do you absolutely love a good bubble bath? If so, you need a space in which to do it. This means installing a tub in which you fit comfortably. And if you soak with your other half, a tub in which you both fit comfortably is key. 2. Do you and your spouse use the bathroom at the same time to get ready? It’s a rare instance when elbow jockeying for who gets to spit their toothpaste is fun. So take a moment to consider your daily schedule. Are you and your spouse getting ready at the same time? If so, you’ll both need space at the counter and the sink. Often, the best solution is dual sinks. This provides the perfect balance between getting ready together, without getting ready on top of one another. 3. What time of day are you typically in the bathroom? Maybe this isn’t the most personal of our questions. But, it is a major consideration. If the majority of your bathroom time is during the morning as you’re getting ready for the day, a brighter color palette can help you wake up. Alternatively, if you bathe primarily at night, a more subdued color scheme can help you unwind. 4. Do you shower alone? Sometimes showering with your spouse is all about the va va voom of the moment. Other times, the focus is just a tad more pedestrian, such as getting clean. If you and your other half frequently shower together, you might want to consider incorporating two showerheads. This will allow you both to rinse on your own schedule. 5. Are you a shower singer? Love to belt it out while soaping up? Sometimes a little backup can be the difference between sounding like a car engine and bringing it home like Mariah Carey. This is why shower singers often love equipping their bathroom with a built-in sound system. 6. Is this a home in which you plan to age? 7. How private would you like your toilet to be? We all go. That doesn’t mean we want our spouse to hear us. Consider how private you want your toilet to be. A great way to add more privacy to your toilet is to tuck it behind a pocket door. Additionally, you might consider installing a separate fan for your toilet room. Unlike your shower fan, you might prefer this one to be slightly louder to help muffle any sounds. 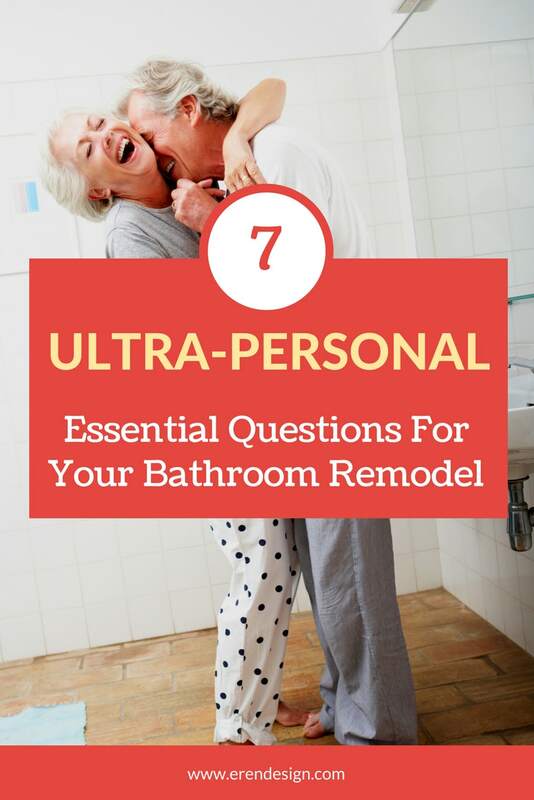 Ready to talk about your next bathroom remodel?